On top of the general searching and snooping of thousands of emails, Rival Explorer also offers an Enterprise edition that includes a dedicated analyst, custom reports, and advanced analytics. Email marketing continues to be one of the most effective channels businesses to generate interest, lubricate their sales funnels, and ultimately boost their revenues. One challenge, however, is knowing what your competitors are up to. Sure you could sign up for every newsletter under the sun and sort through folders in your personal email accounts to make some general observations, but that technique seems to be in conflict with the kind of detail and efficiency for which email marketing truly stands. There is at least one new startup that intends to make the snooping much simpler. 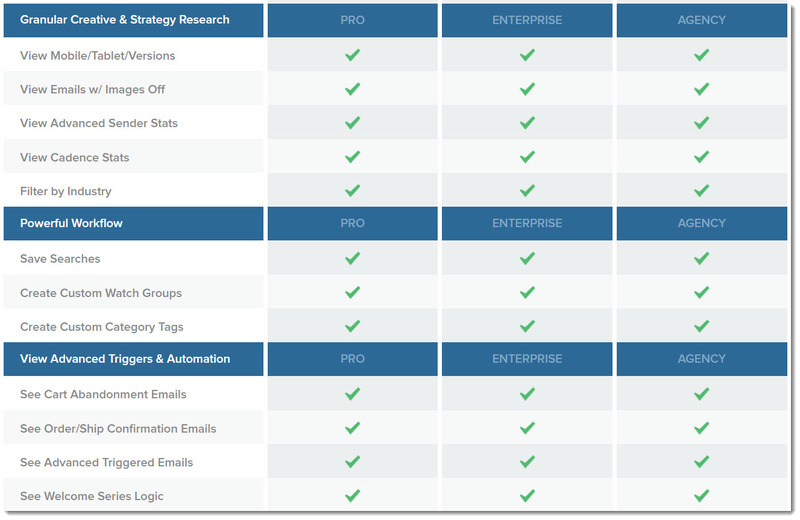 Rival Explorer recently launched a tool designed to help users improve their email marketing strategy and product pricing and promotion through comprehensive monitoring of their competitor’s email newsletters. After creating a free account, users can browse through a database of marketing emails from over 50,000 brands. Rival Explorer offers access to a number of different email types, including newsletters, cart abandonment emails, welcome emails, and other transactional messages. Users can search by brand, subject, message body, date, day of week, industry, category, and custom tags and keywords. When users select a message, they’re able to view the sender email, subject line, and timestamp of the messages. In addition to those details, users can view the emails as they appear on tablets and smartphones, plus they also can toggle images to get a better idea of design and copy strategy. For users interested in more depth, Rival Explorer offers Enterprise and Agency alternatives to their basic catalog search. The Enterprise option features a dedicated analyst, custom reports, and advanced analytics. The Agency edition offers multiple users and additional filtering capabilities, like email service providers (ESP) and vendor. Currently much of the focus seems to be on the B2C retail space, but with this foundation in place, over time there is plenty of room for scope expansion–likely quite responsive to customer feedback in the early stages. Something like this is a good start for a broader email marketing strategy. Once the basics of competitor differentiation (or copycatting) are determined, there are a number of tools and services business can layer on; solutions like Litmus Scope are designed to simplify email design and development, while tools like AddThis can help with audience targeting. Even in the age of social media and online chat tools, email still plays a significant role in the way people receive essential messages. Per Entrepreneur, the average person gets 121 emails a day, with a significant portion coming from businesses. The math isn’t hard to understand either; email marketing has been shown to have up to 4300% ROI, with every dollar spent on email marketing yielding about $44 on average. Personally I would like to see some case studies on using something like this, but I am having a hard time finding any. Wow, being able to search by subject line is huge. Also, having the database searchable by date is a major plus for those that want to hit up the busy holiday shopping season. What a great idea. There are many VERY competitive niches out there that could take advantage of this. In the world of marketing I would say this is GOLD! This is a nice database to have if you are competing against one of the companies whose emails appear in it, but what if you are in a niche mostly to yourself and still want to get better ROI on these emails? I will take whatever knowledge that anyone is willing to give me on this topic. Thank you! Especially at peak times of the shopping season, this would be a great help! Exactly what I was thinking. In terms of what you can get by reading through this database, any price is low for that type of info. Getting together an email marketing system seems so difficult to me. I have been building and marketing websites for 10 years and that is my unicorn. I cannot figure out the best strategy for it.